Wednesday, January 16, 2008, the day in which I decided to say goodbye to my beloved Windows XP and hello to the monster known as Windows Vista. Be it press releases from numerous government agencies, or the ever entertaining Apple I’m a Mac, I’m a PC ads – Vista hasn’t found too many friends. Despite all of that propaganda, I decided to roll the dice with Vista. Vista / Vegas – coincidence? Much like AutoCAD installations, Vista installations are quite literally defined by the hardware you have backing it. For me I am actually working on a late Windows XP laptop, a HP Compaq nw8440 to be exact. Inside of it I have a 2.0 Ghz Intel Centrino Duo processor with 2.0 GB of RAM. Overall I see my machine as a pretty typical AutoCAD 2008 capable laptop. Coming from a civil engineering firm, it’s only natural we are using AutoCAD Civil 3D and an array of other verticals; Land Desktop, Map 3D, and Raster Design. We are using the 2008 versions of the products mentioned above. But enough information about platform, what about usability and reliability? Surprisingly, installation really was a breeze! Since my Windows XP installation was getting sluggish, I opted for a fresh Windows Vista Business installation (formatting my HDD in the process). Towards the end of the install I did have to leave my desk to help a couple users, so I don’t know exactly how long it took to install. My best guess would be well under an hour. Since getting Vista installed I have found boot times to be comparable with Windows XP. Certainly one of the sale points of Vista is the new interface. Windows veterans will probably be a little lost at first, as many tools have a new home and/or work a little different than they did in XP. For instance connecting to a wireless network (especially unsecured/public networks) takes a little more user interaction than it did in XP. This of course ties into one of Microsoft’s primary goals for Vista – security. Vista likes to ask you questions, which often seem redundant (more on this in a moment). For me the biggest thing I have had to adapt to is the new Windows Explorer (known to some as My Computer). After taking a moment to explore the interface I found it easier for me to navigate files. For instance the lack of a "Folder Up" button miffed me until I realized all I had to do is click folder I wanted to from the path in the address bar. These are the types of tweaks I speak of. In the end they are more intuitive, but it first requires you to learn how to work xyz feature. I have found application load times, and overall performance to either be comparable if not faster than XP. In general there does seem to be some relation to when the product was originally developed, during the XP era, or since Vista? Naturally things like Microsoft Office 2007 work great on Vista. On the other hand starting Sam Reports disables the Aero theme and turns on the Vista Basic theme. Other older programs are likely to do the same. Autodesk recently released a whitepaper titled "Autodesk and Windows Vista". I really do have to give props to Autodesk for how honestly they represented their products performance on Vista. For instance, with regard to AutoCAD Civil 3D 2008 the whitepaper says "Benchmark testing shows that while some processes perform the same when run on Windows Vista and Windows XP, some are slower on Windows Vista." One week into my Vista usage, I must say that statement is incredibly accurate. Startup seems a little faster for me, but some commands seem to execute a little slower on Vista than they did on XP. While I have not yet had a chance to put corridors through it’s paces on Vista, the whitepaper claims functions using the .NET framework can run up to 10 times faster on Vista. So what obstacles have I been required to overcome as a Vista user? User Account Control (UAC): If you’re a savvy Windows user this will drive you nuts. By default Vista is set up to confirm everything you tell it to do. 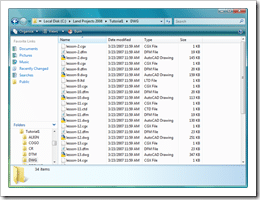 While the feature can be disabled, it can have an adverse effect on other parts of Vista. For me it was connecting to network printers. So how does one keep Vista happy, while keeping their own sanity at the same time? First, don’t disable UAC; suppress the confirmations instead. This can be done by enabling the "Classic View" from the "Control Panel". Go to "Administrative Tools > Local Security Policy > Local Policies > Security Options". From there find the "User Account Control: Behavior of the elevation prompt for administrators in Admin Approval Mode" policy. Change it to "Elevate without prompting". This will suppress the annoying confirmation dialogs, but still keep Vista happy. Networked Printers: If you find yourself unable to connect to a networked printer, take a look at the above bullet point. In all likelihood UAC has been disabled. Re-enable it, and follow the steps above to suppress the prompts. ReadyBoost: This is a new Vista feature worth its weight in gold. That USB flash drive you already have on your keychain can now be used to add some umph to Vista. Technically its considered a disk caching technology, but it’s effect is like adding RAM to your machine. Again, I’ve only been using Vista for a week at this point. My biggest problem to date was the networked printer issue. I has UAC disabled, and sure enough turning it back on cleared things up for me. Since those of us in the CAD industry already require pretty beefy machines, Vista shouldn’t be too big of an issue.In my own opinion, a decent CAD workstation running AutoCAD 2008 should be capable of running Vista with minimal fuss. I hate to say there is no way, but I have yet to find a way to accomplish such a feat. My only quasi solution would be to create a virtual machine running XP on top of your Vista machine. Certainly not an efficient workaround though! 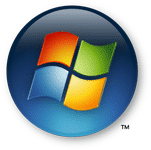 2007 as you may know can be made to run on Vista by modifying the icon to Run as Administrator. 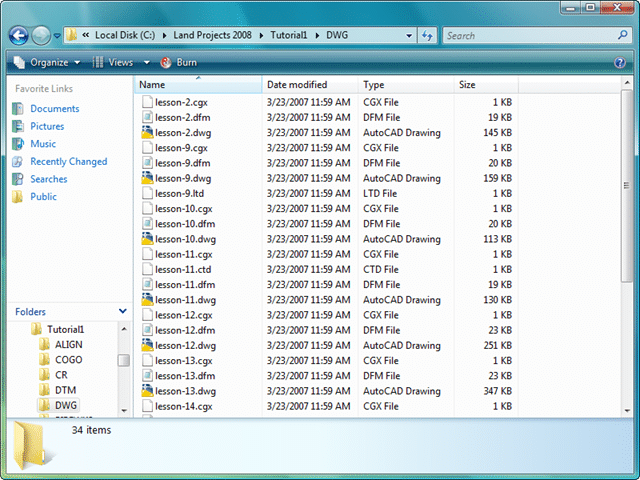 2008 however is the first AutoCAD to run natively in Vista. I’m still in denial, but is there really no way to run acad 2006 in Vista? Why would Windows make such dramatic changes? except to promote more acad sales. your site has a lot of great info. by the way.